We are aware that some career paths are known for being more popular with males than females, in particular, careers within the STEM industry. Powered by our General Manager, Lauren and our High Tide Co-ordinator, Leonie, The High Tide Foundation makes a special effort to encourage young girls to explore the STEM industry, including making sure that our programmes are accessible and appealing to all. According to recent statistics from the WISE Campaign, more women than ever before are now working in STEM industries, yet they still only make up 24% of all people employed in STEM industries. Similarly, although the number of female Engineering Professionals has risen dramatically since 2016, women still only make up 11% of the total. The WISE ‘People Like Me’ Campaign mission is to get one million more women in the STEM workforce, through changing the way girls recieve career advice, as well as increasing awareness and boosting interest in a range of STEM careers. Numerous benefits will be brought to these industries and to the UK economy through diversifying the talent pool. By aiming to change the way we talk about STEM careers and by engaging with a more diverse audience, the campaign hopes to encourage more females to explore science based educations and careers. We believe it is extremely important to encourage females into the STEM industry and the proof of our efforts is demonstrated by our stats, with an almost equal ratio of boys to girls (5 females and 6 males) on our latest Shipping Cadetship. Both of our Cadetships are ideal for those aiming to apply for apprenticeships or further study in a STEM subject such as science, technology, engineering and mathematics. Jessica Yong, from Dykehouse School has shown initiative by taking advantage of some of the opportunities that High Tide offers to students. She has shown a keen interest in exploring different career paths, having also taken part in our Port to Port experience to Rotterdam. Jessica has demonstrated her growing knowledge about the shipping and logistics industry, commenting ‘It isn’t a straight forward journey for goods to be delivered in the global supply chain. There are many parts’. To further encourage women to enter the industry, as part of our Shipping Cadetship, students recently attended a talk delivered by Nikki Sayer from Casper Shipping Ltd about how she began her career in the industry. Nikki also explained why the shipping and logistics industry is a great industry for both men and women to have lifelong careers. 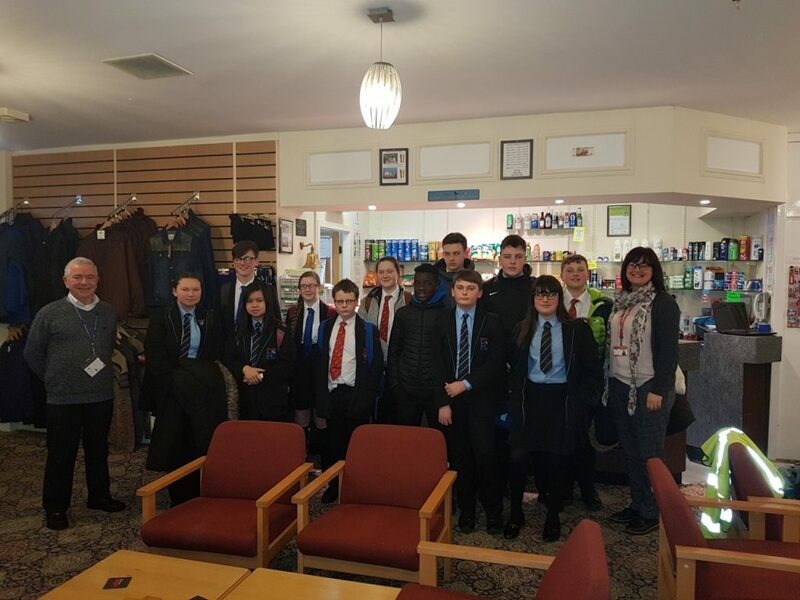 A number of further discussions took place at The Mission to Seafarers Centre, including highlighting the importance of shipping for everyday life. Students took part in an interactive game to highlight the number of things that we use on a daily basis which relies on the shipment of goods for the materials used to make these items. By highlighting the importance of these industries High Tide hopes to inspire students, both girls and boys, to explore the different careers and roles available. Our General Manager Lauren commented “We are delighted to have a good mixture of girls on our ongoing Shipping Cadetship and to have support from Nikki Sayer, the first female ICS chair person of our branch”. Among our other programmes, our Engineering Week has also been successful in encouraging female students to pursue engineering careers. 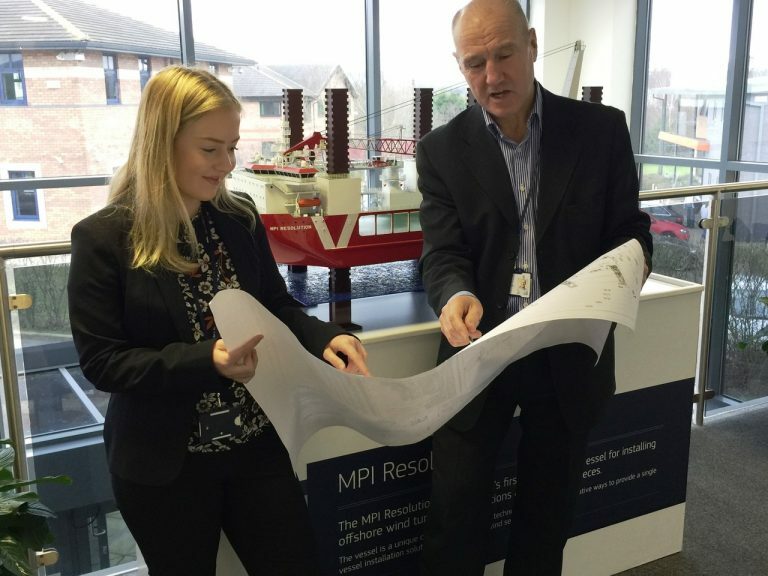 In 2016 one of our graduates, Rachel Boynton was offered an engineering apprenticeship with our Industry member, MPI, after taking part in our Engineering Week programme. If you’d like to know more about our programmes or the other experiences that we offer, you can find out more through our programmes page.